For over 25 years we have replaced bilco doors for Connecticut home owners. 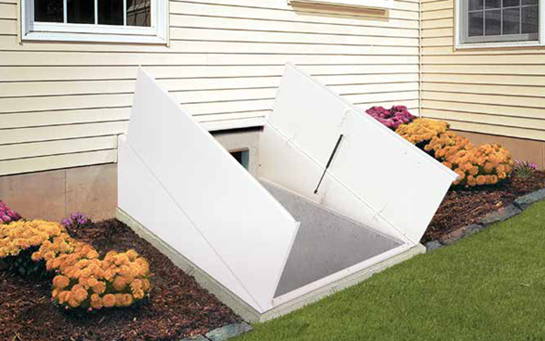 We have also worked on replacements of bulkhead doors, as well as retrofits for new hatchways A retrofit entails excavation, cut-thru, and installation of a pre-cast concrete, cinder block, or poured concrete foundation. They are all referring to the same item: your basement entry. Different terms are used based on different dialects in different areas. Bilco however is a quality brand of door. Just as many say "Kleenex" to refer to a tissue, Bilco is used to refer to a basement entry door. Feel free to contact us with any and all questions you may have about our products & services.